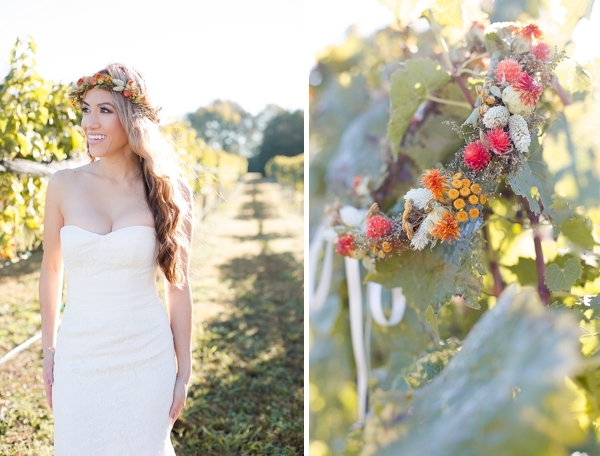 Inspired by warm, glowy light, Suzy envisioned a sunrise bridal session set against a romantic fall-dappled winery with Katherine Sparks Photography. 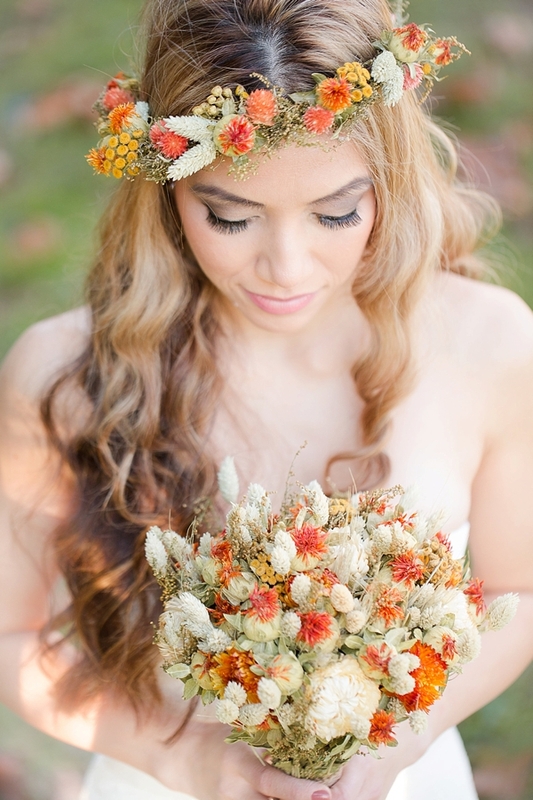 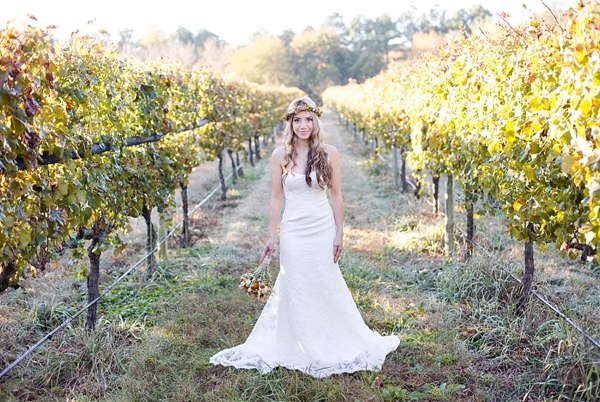 With a fit and flare trumpet design, lace detailing, and a sweetheart neckline, Suzy's wedding gown was the perfect classic complement to her rustic dried flower crown and bouquet of golden yellows, wheat browns, and burnt oranges wrapped in burlap and lace. 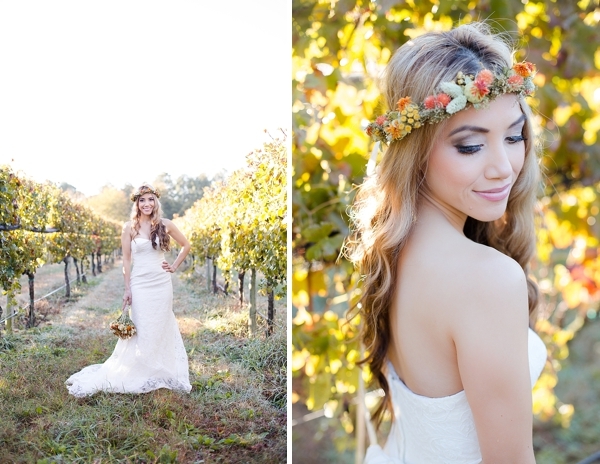 In bridal session tradition, Suzy wore loose curls and autumn colors for her makeup to celebrate her then-upcoming wedding. 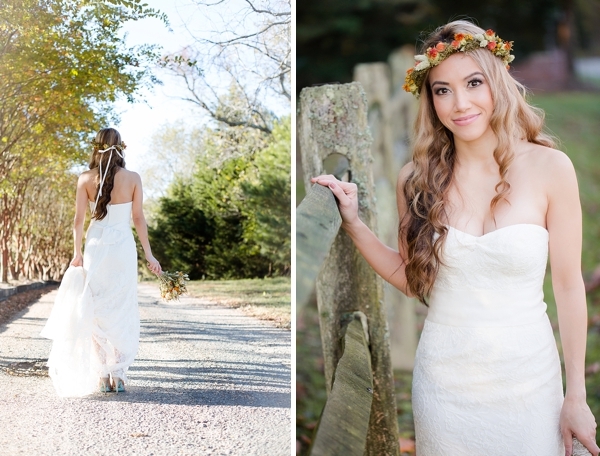 Despite the chilly 40 degrees fall weather, a broken dress clasp, and a dusted train while traipsing around Williamsburg Winery, this bridal beauty was all smiles and joy and kept the focus on what really mattered. 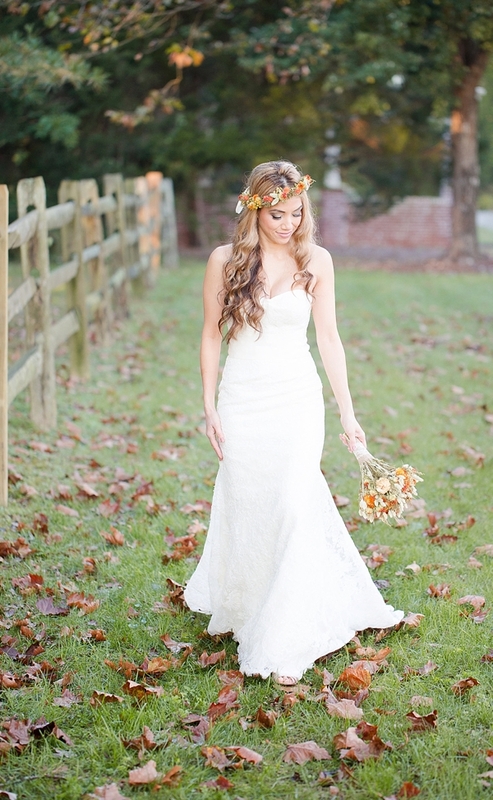 She would soon be with the one she loves as husband and wife.